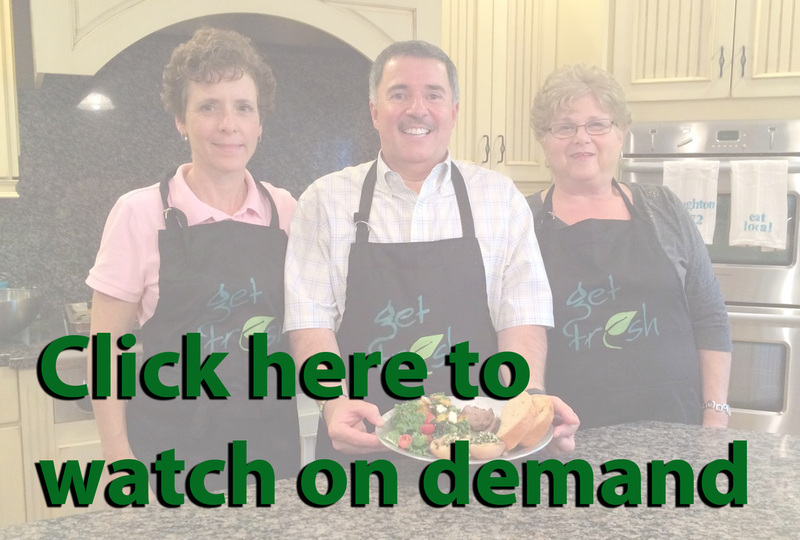 Sharon Fradkin, Carlos Vargas and Laura MacDougall host Get Fresh, a cooking show on SMAC. Fradkin is a member of the Stoughton Farmers Market Board of Directors. Vargas is a partner at Vargas & Vargas Insurance and a Platinum Sponsor of Stoughton Farmers Market. MacDougall is a personal chef and owner of Home Plate Advantage Personal Chef Service. Many of the ingredients for recipes on Get Fresh come from the Stoughton Farmers Market (or from Stoughton Farmers Market vendors), which is held Saturdays from 10am - 2pm, June-October in Stoughton Center. The latest episode of Get Fresh features dishes that will make for an "Eggcellent Brunch" - Baked Eggs in a Cup, Veggie Egg Skillet and Sweet Cherry Kugel. You can watch it on television (see air times above), or watch it online by clicking here.